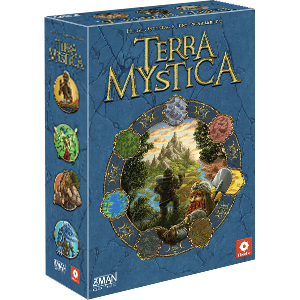 New factions appear as the temperature hits the extremes in this compelling Terra Mystica expansion. 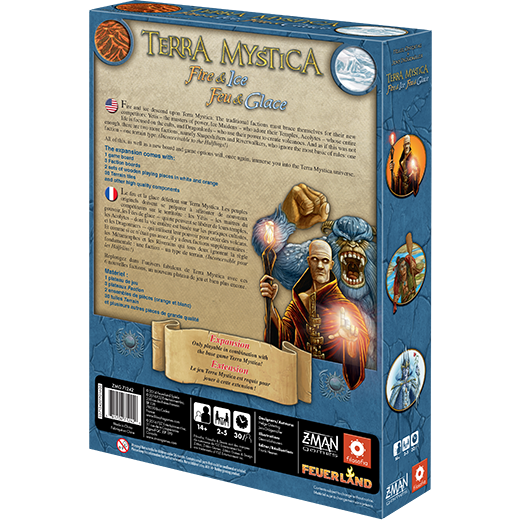 Terra Mystica is required to enjoy this game. 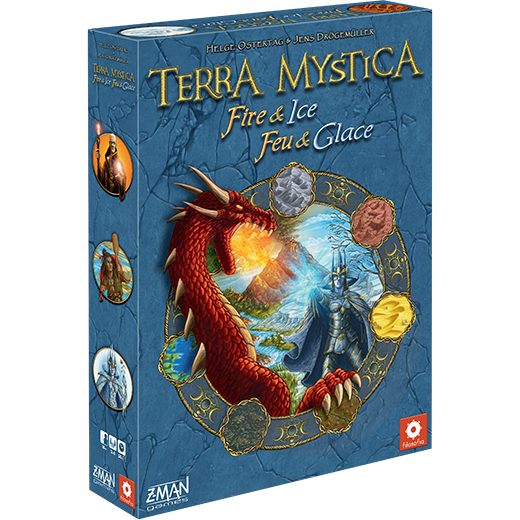 Traditional factions brace themselves for new competitors as fire and ice descend upon the world of Terra Mystica. 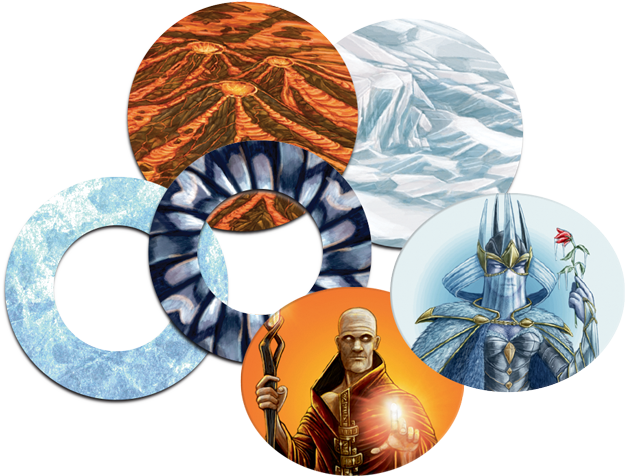 Terrifying Yetis, frosty Ice Maidens, devoted Acolytes, and mighty Dragonlords seek to make their mark in the Fire & Ice expansion. With homes in the new Ice and Volcano terrain types, these factions alter the landscape drastically. This expansion also introduces Shapeshifters and Riverwalkers, who ignore the most basic of rules: one faction, one terrain type! Build your stronghold and change your home terrain as Shapeshifters, or unlock new terrain to settle as Riverwalkers. 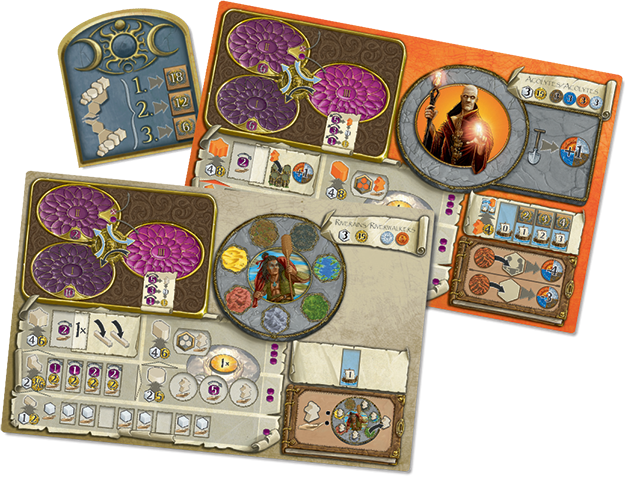 Each of the six new factions adds its own strategic depth and tactical options to immerse you once more in the magical realm of Terra Mystica. 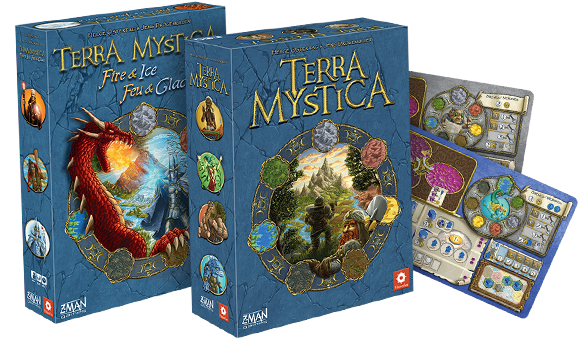 On top of new factions, Fire & Ice includes a bevy of options that add new twists to your Terra Mystica games. 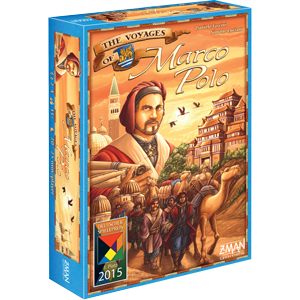 Play with the new board which provides fresh challenges in a revamped starting terrain layout as well as new rivers. Create competition by selecting faction options randomly, then auctioning them off to the highest bidder. 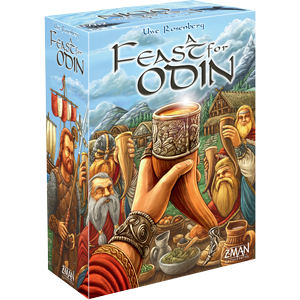 Once the game is underway, mix up the turn order each round for even more strategic options. When playing with variable turn order, the first player to pass becomes the first player the next round. 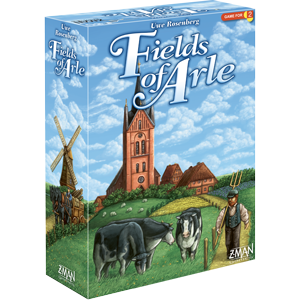 Finally, use Final Scoring tiles to create new goals to work toward. Great changes are taking place throughout the land. Rally your faction and prepare for Fire & Ice.